We want you to enjoy the most flavorful, tender, juicy steak ever…. So here is the method, and seasonings we use for our “best steak ever”. Feel free to alter the seasonings to your own preference, but keep in mind the methods presented here will benefit the tenderness and flavor no matter what cut or seasoning. 1. Start ahead of time! Mark tells all of our beef purchasers to plan ahead, and he doesn’t mean only one day ahead either! Get your meat out of the freezer and let it thaw in the refrigerator for four or five days. This provides time for the meat to thaw and tenderize. 2. Bring them up to temperature. Dry steaks sear so much better than wet ones! If you feel you have rubbed off too much of your seasoning - you can always add more. Put a lid on the grill immediately after putting your steaks on it. This helps the steaks cook more evenly. After 5 min. gently turn the steaks to the other side. Avoid moving them once you have turned them. No matter the utensil you use, pushing the meat around releases the juices, instead of keeping them in the meat - so handle the meat as little as possible. Remember to put the lid back on the grill! 5. Don’t overcook your meat. In general, grass-fed beef requires 30% less cooking time than grain-fed. On some grills, maintaining an even temperature throughout the cooking time can be a challenge - so instead of a blanket cooking time statement, try the finger test method for checking the doneness of your meat. 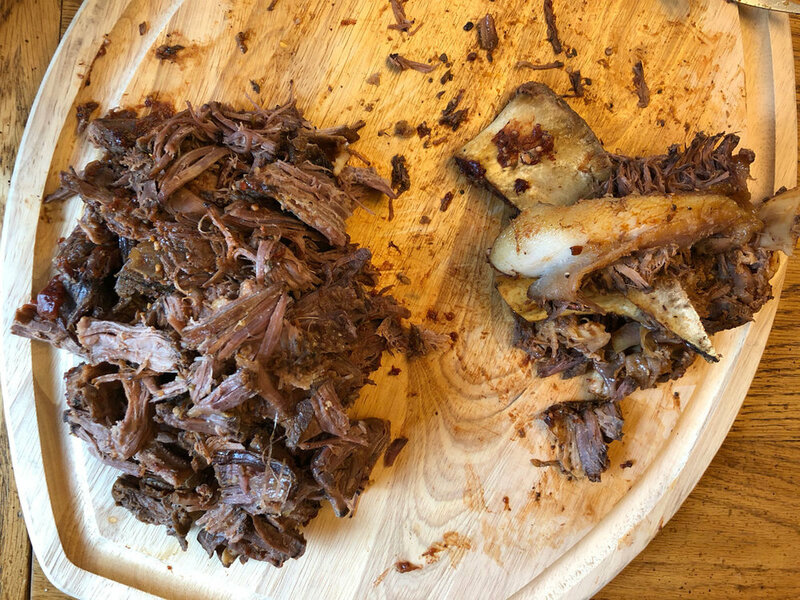 - see explanation here - Also remember that your meat will continue to cook for a short period of time after being removed from the grill… so remove it slightly before it is at your desired state of “done”. Sweet Mesquite Seasoning. Not so much as to cover the meat - but enough that you recognize it is on there. Granulated garlic. You can use fresh garlic if you prefer - just rub it into the raw meat with the back of a spoon before dusting with the other flavorings. Salt and Pepper. While the amount of salt and pepper tends to be a personal preference, in general, the meat will taste more evenly salted if the salt is allowed to marinate on the meat for at least 30 min. before cooking. A tsp. or so of Worcestershire sauce (per steak). It is our observation that this liquid seems to help the meat absorb more of the other seasonings. Sometimes we add a tsp. or so of Liquid Smoke. Primarily we use this during the colder months when we grill indoors with our electric grill. Mark and Kyla at Johnson’s Pumpkin Patch. Amy has been busy lately… making lasagna! First she fed Kyla’s cross country team, and the next week the Wallowa High School Football team. During the process, she cemented the idea that good neighbors are invaluable! With too many lasagnas to fit in Amy’s oven, neighbor, Barbara Hilde (age 90) put a couple in her oven as well. The Teams were thrilled… sorry, there is none left. Nobody turned down mountain beef lasagna! Four Lasagnas assembled in under an hour! Amy can do that. Lasagna Recipe coming soon! Join our Mailing list by filling out the form on the right to be notified when we post new recipes and articles. Cross country team dinner with Mountain Beef lasagna! Kyla seated second on right. Wallowa High School football team, Huskers prayer after game tradition. 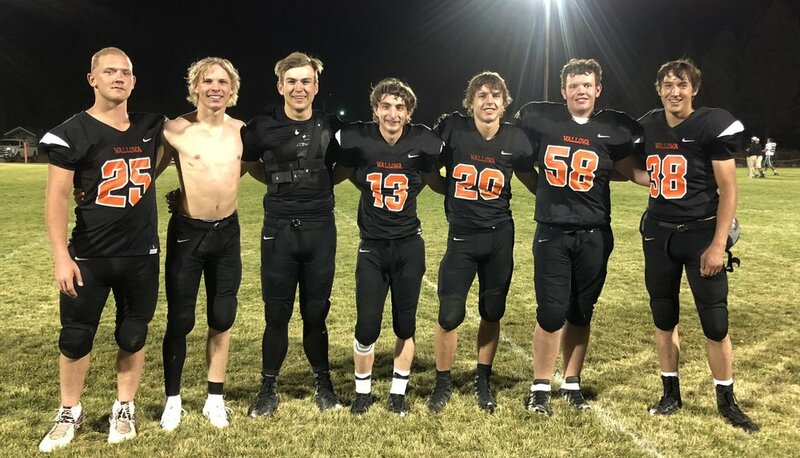 Wallowa football seniors - Gus with no shirt. Gus senior game, last home football game. This recipe is wonderful for those days when you know your evening may be hectic, but you want a delicious satisfying meal. The ingredients can be put in the crock-pot in the morning, and by evening your family will be enticed by aroma and flavors beckoning them to the table. Cut roast in half and place in slow cooker. Created a sauce mixture by combining the ketchup, onion, vinegar, molasses, Worcestershire sauce, garlic, salt, pepper, mustard, garlic powder and pepper flakes in large bowl. Pour mixture over roast. Cover, and cook on LOW 8-10 hours. Remove roast from sauce; cool slightly. Shred meat with 2 forks. Place meat back into sauce. Stir to coat evenly. Add salt and pepper to taste. Cook an additional 15-30 min. or until hot. Spoon filling into sandwich buns and top with additional sauce. We want you to enjoy the maximum value from your beef. So with that in mind, we wrote up a few of our favorite freezer tips. Handle vacuum sealed bags carefully. They can puncture if mishandled. Place them one by one in the freezer instead of dumping them in! Some people keep a pair of gloves handy near their freezer for this procedure. 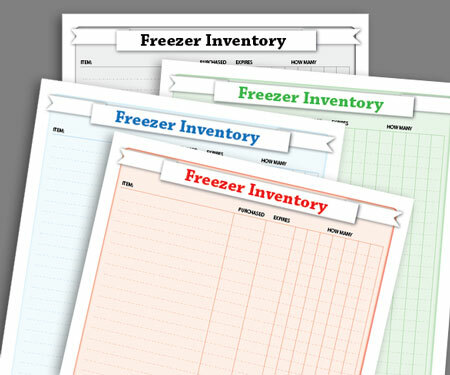 Organize your freezer with dividers/boxes/bins or bags. My freezer has four compartments made with plywood that fit perfectly. (But I have a handy hubby!) With that arrangement, I am able to sort by type of food and date. It helps me use what is in my freezer instead of letting items get buried in the bottom where I can’t see them. In another chest freezer we use sturdy bags with handles to organize our storage. We sort by the type of meat, roasts, steaks, stew meat, burger, etc. The bags have labels on the outside and a snap on top. We put boxes of burger on bottom of freezer (same boxes we deliver your beef in! ), then put bags on top of those boxes. Bags are easy to move aside to get into boxes. We recommend our customers attempt to use their beef within a year from purchase. However, we have beef in our freezer from four years ago and we have never had a problem using it. The culmination of a year’s worth of work starts with gathering yearlings for harvest, to supply our Mountain Beef family and friends with an annual supply of nutritious grass-fed, grass-finished beef. 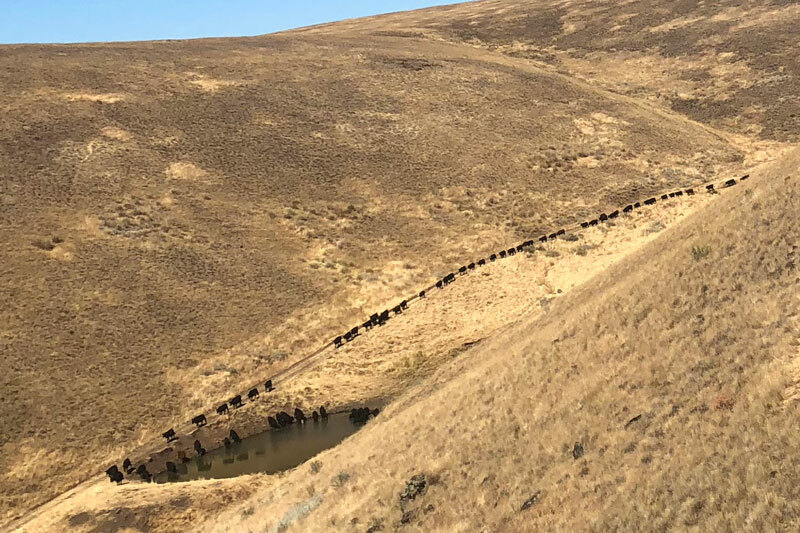 Our teenagers set out on horseback to gather and trail 150 head of yearlings, which are 18 month old calves, that graze summer pasture on the Zumwalt prairie. They trailed them 16 miles to the home ranch where the mobile slaughter unit harvests the yearlings. This is one of the many responsibilities our children have on the family ranch. The balance of wildlife and the animals that humans depend on can be tricky. Mark Ramsden of Mountain Beef tells some of the dangers of wolf packs to the cattle his family grazes in the Hells Canyon region of Washington and Oregon.